At first glance it’s nothing more than a cement platform beneath a tin shed in Jangpura Extension. 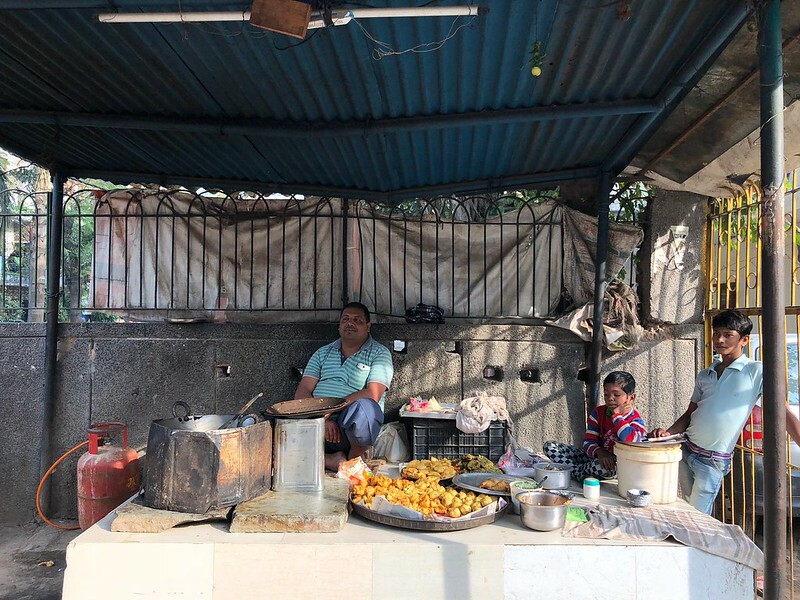 But customers turn up at this shed in droves as Gyan deep-fries his famous pakoras — all sorts of them. The physiology of the stall itself exerts an appeal. 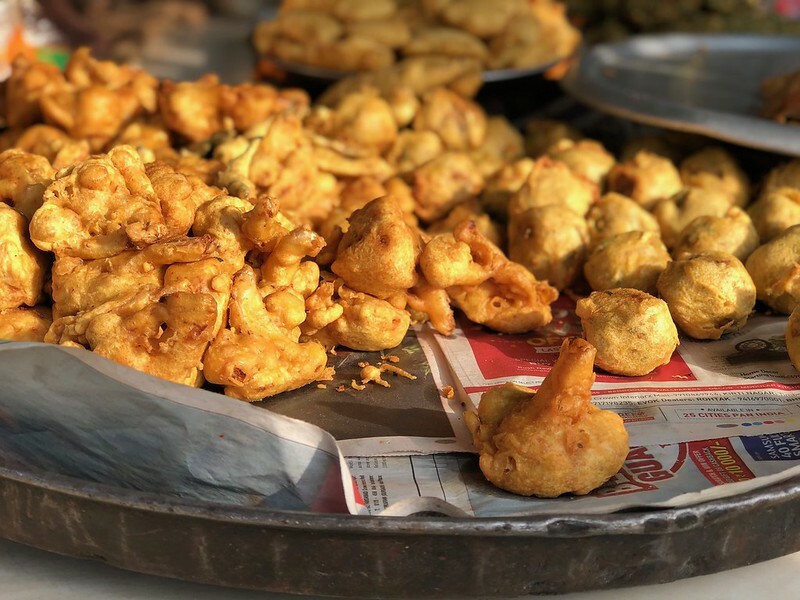 Gyan sits beside a giant cauldron, filling a giant platter with pakoras which too are gigantic in their own way. He’s sometimes joined in the afternoon by his young sons when they return from school and sit beside him, often with their textbooks. They live in a slum nearby. 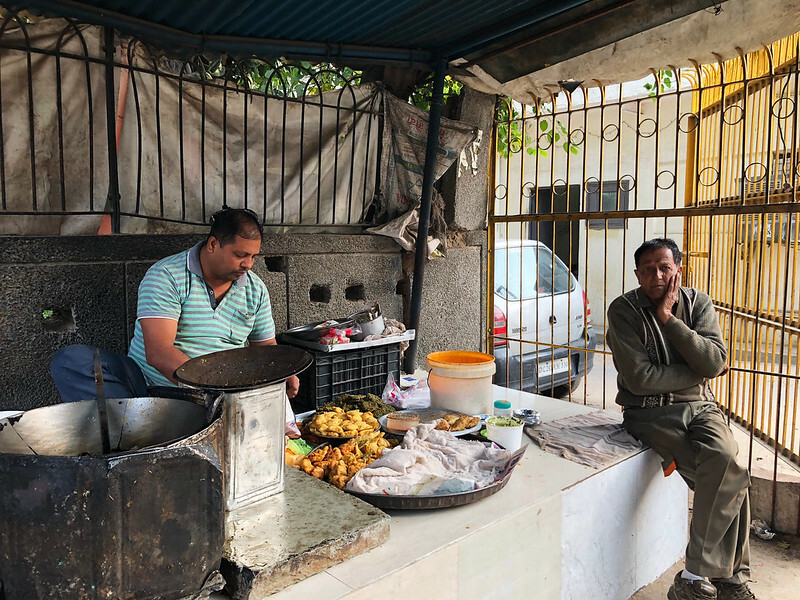 Many customers are repeats, who’ll just walk in from their homes in the neighbourhood chatting on cellphones, then handpick pakoras while still conversing. 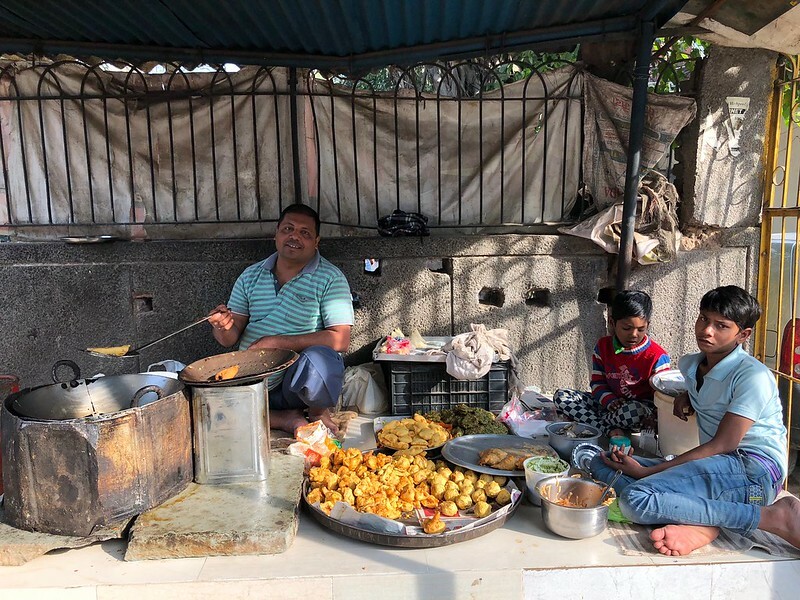 One evening, The Delhi Walla meets a wrestler who’s come all the way from Sarai Kale Khan. 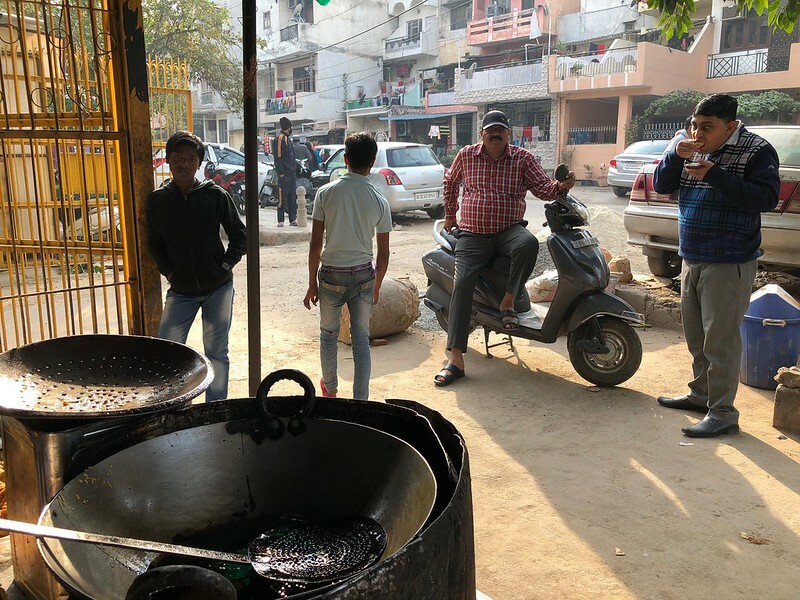 “We’ve many pakora shops there too, but I love Gyan bhayya’s!” says Raj Kumar Pehelwan, sitting on a cooking cylinder. The stall is said to be “very old” though nobody knows exactly when it was launched. 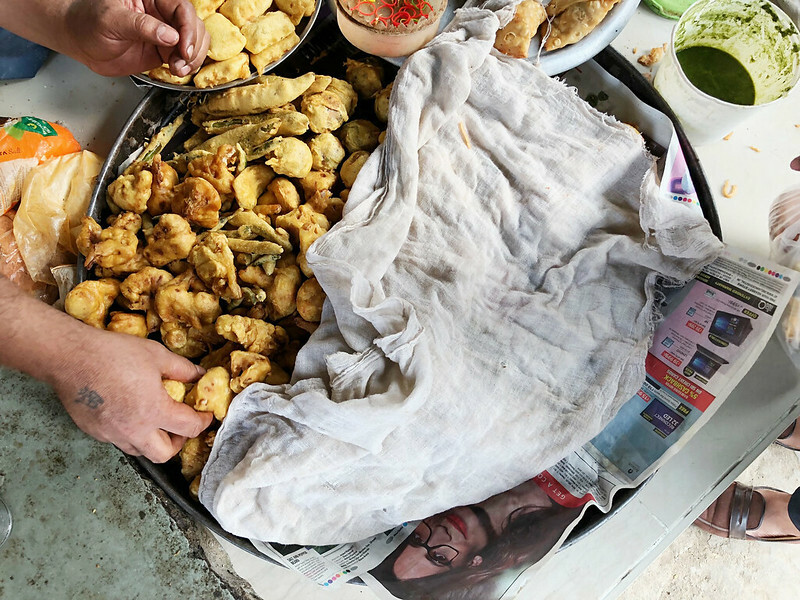 Gyan has been making pakoras here for about 20 years, starting as a cook for the previous owner. It’s nestled in a world of homely groceries and residential apartments. Old ladies peer at street life from their balconies, from behind washed laundry. Suggestion: Turn up at 1pm or 6pm when Gyan is doing the frying. 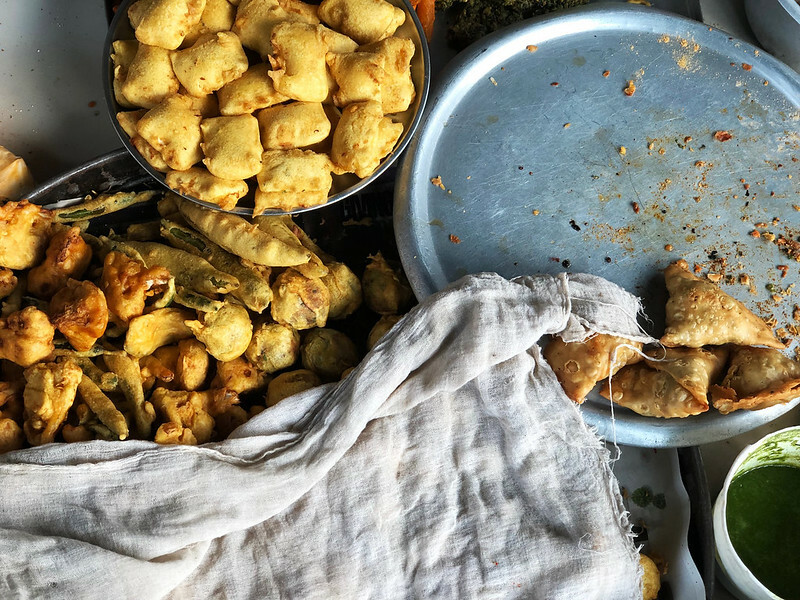 I’m partial to his gobhi pakora, and those delicious samosas; the mooli chutney too is divine. This was outside my colony. The chutney is really good. Also, this is Jangpura B.